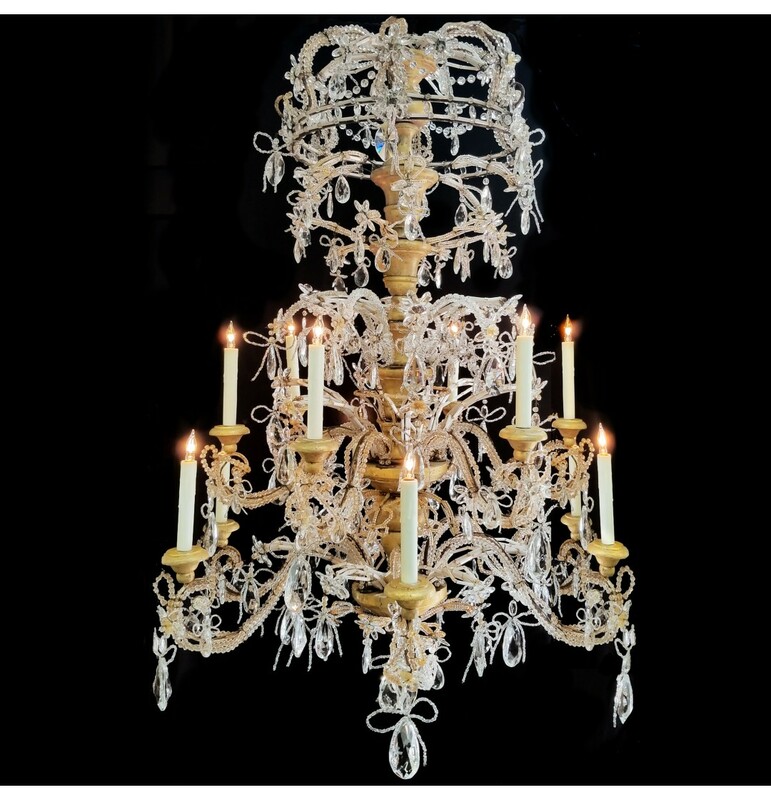 Italian giltwood and crystal chandelier. 12 lights. Circa 1800.